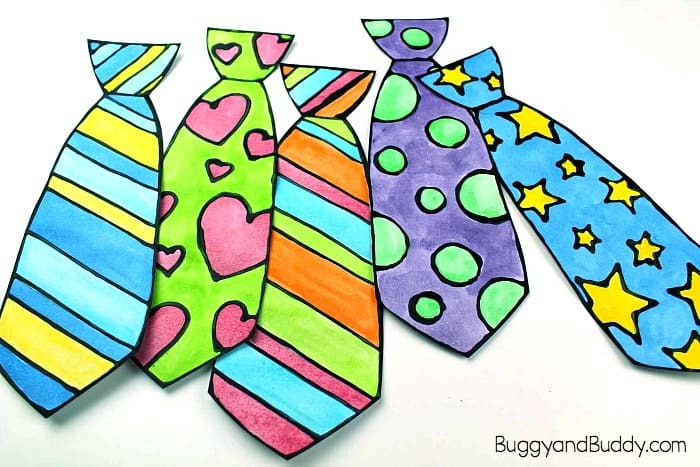 These vibrant colored ties are the perfect Father’s Day craft for kids! 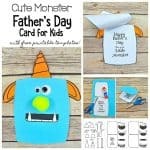 They’re created using a fun art technique that children always love- black glue and paint. 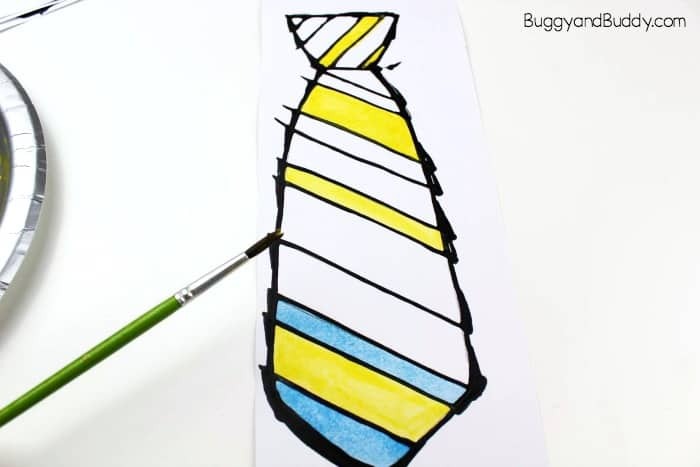 The finished tie craft can be used to decorate a homemade Father’s Day card or even used as a special bookmark to give to Dad, Grandpa or any other special man in your child’s life. 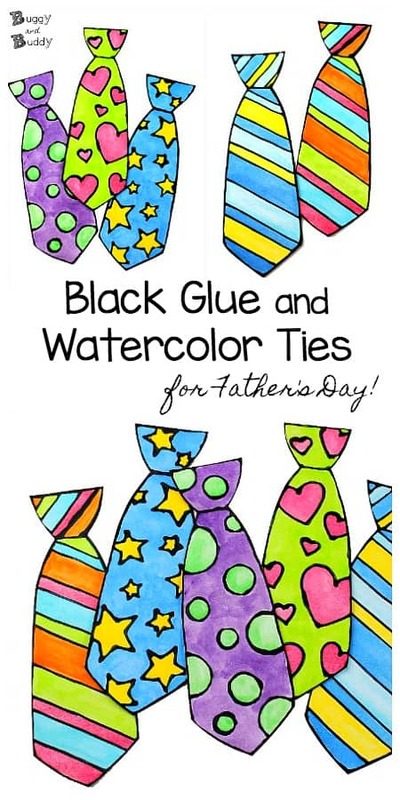 Kids will love making these black glue and watercolor ties for Dad or Grandpa! 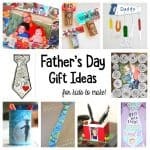 This is such a fun art project for Father’s Day and the post even includes free tie templates with various patterns and designs to help you get started. 1. 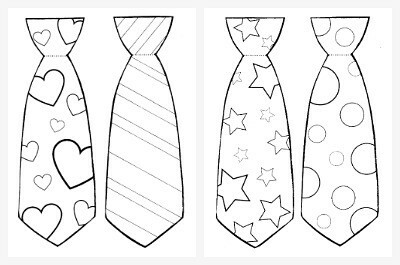 Print out the free tie templates on white cardstock or art paper. You’ll need black glue for the next step. You can actually buy black glue or easily make your own. Grab a bottle of white liquid glue. Take off the top and pour out a bit. Add some black paint to your glue bottle and stir with something long and skinny (like a coffee stirrer or skewer). Keep adding black paint until you’re happy with the color. 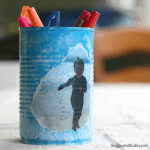 Place the top back on your glue bottle and you’re ready to go. 2. 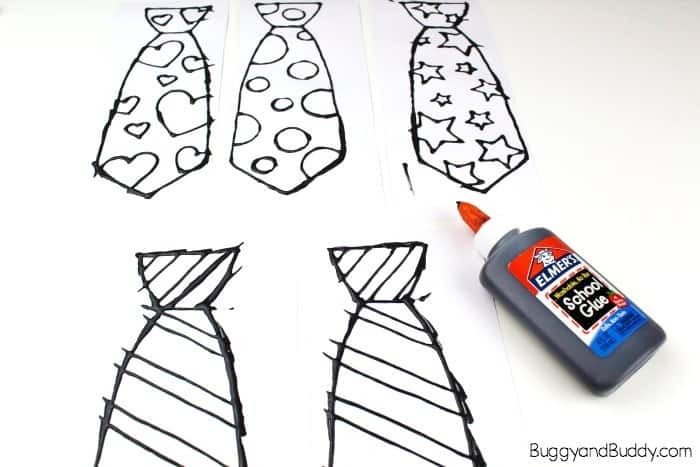 Trace over each line on the printed ties with your black glue. 3. Let the black glue dry completely. 4. Paint inside the dried glue with watercolors. 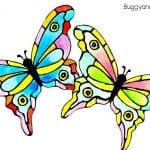 You can use liquid watercolors or a watercolor palette. 6. 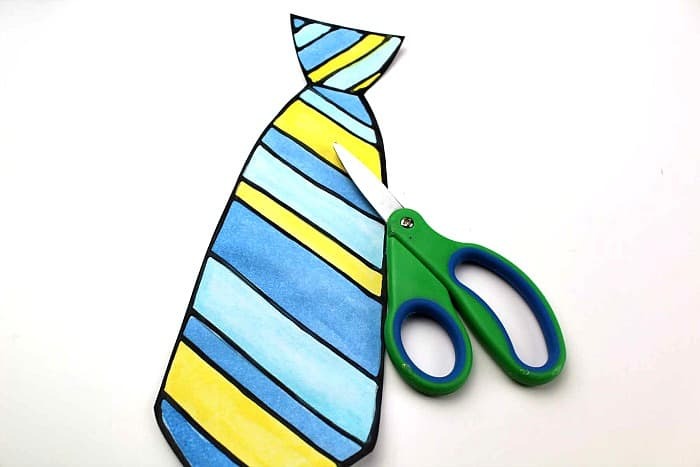 Cut out your ties. You’re done! 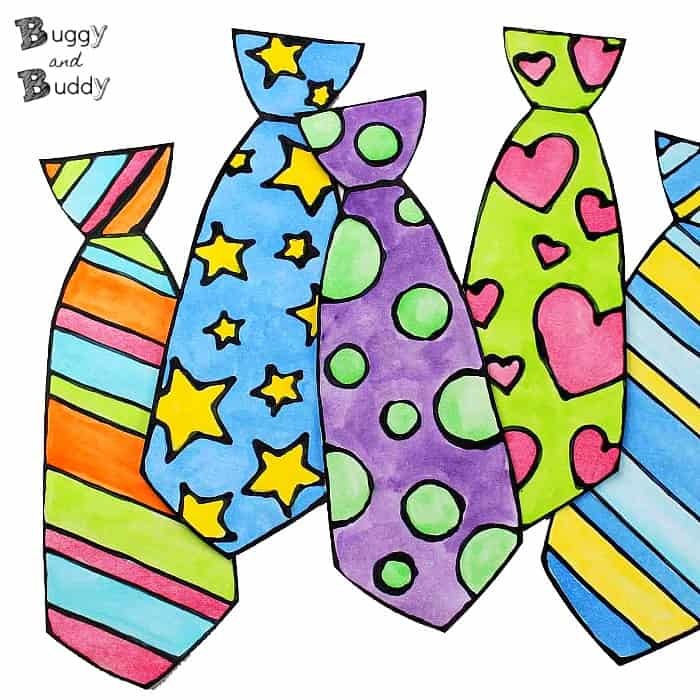 Try out all the different patterns and color combos! 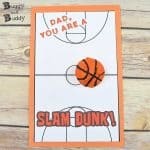 Glue them onto the front of a homemade Father’s Day card. 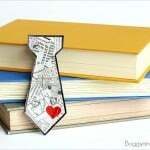 Punch a hole in the top, tie a string through it, and wear your tie! 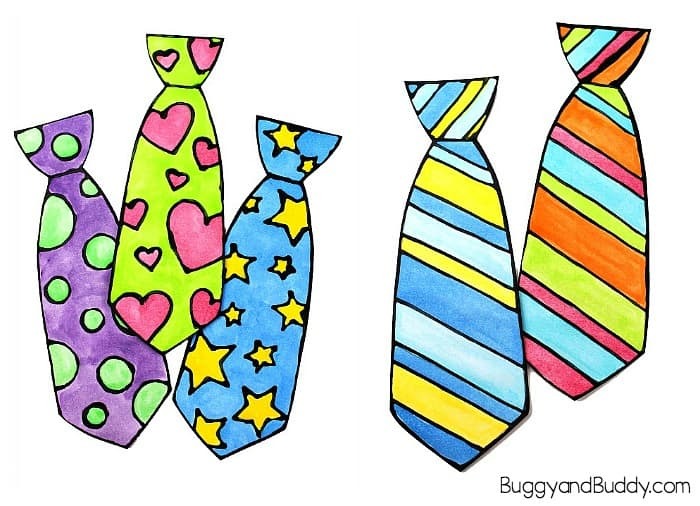 String a bunch of ties together to make a Father’s Day decoration. 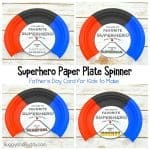 Find even more Father’s Day ideas on our Father’s Day Pinterest board!